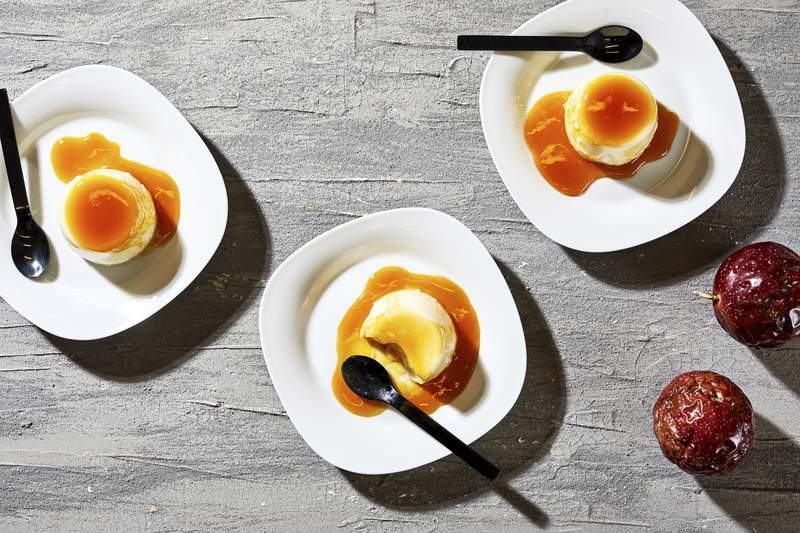 Tom McCorkle | Washington Post Passion fruit is not the easiest to find, but if you're looking for a new, interesting ingredient to play with in your cooking, it may be the thing. I've gone on record here as an avowed Anglophile who thinks there are plenty of things that Brits do better than us. Scones. Tea. Cooking competition shows. I have something else to thank them for: Introducing me to the wonders of passion fruit. In the few weeks I've spent across the pond, I've encountered it numerous times in fabulous little pastries and desserts. Watch enough episodes of “The Great British Baking Show,” and you'll be convinced that cutting open a passion fruit is as commonplace there as, say, an orange is here. Why, though, aren't we as passionate about passion fruit? Blogger, cookbook author and pastry chef David Lebovitz is such a fan of passion fruit that he has called it one of his desert island foods. His theory is that price is one reason it hasn't caught on as much with Americans. Access can be an issue, too, as it's not the easiest fruit to find. But if you're looking for a new, interesting ingredient to play with in your cooking, passion fruit may be just the thing. Here's a primer. • The basics. Let's be honest. Passion fruit are not necessarily the most attractive-looking pieces of produce, at least on the outside. If you find them, you're most likely to come across the variety that is egg-shaped and approximately 3 inches in diameter. When ripe, they're dimpled with deep purple-brown skin. You might think they look rotten. Lebovitz said his partner initially refused to eat them. “They look so disgusting!” he said. But as mom said, it's what's on the inside that counts. Cut open a passion fruit and you'll find a golden, almost jellied pulp studded with edible black seeds. Sunshine on a plate. • Buying, storing and prepping. Melissa's Produce says passion fruit season is February through June and August through November. If you're lucky, you'll come across it in your standard supermarket. You may also see it in Latin and Caribbean markets (look for it labeled as maracuya or parcha). You can order it online as well. According to “The New Food Lover's Companion,” another sign that your passion fruit is ripe is that it will look wrinkled (you'll be able to smell it, too). The book recommends ripening at room temperature and then storing in the refrigerator for up to a week. To eat it, all you have to do is cut the fruit in half and scoop out the gel and seeds. Just be warned, fresh passion fruit eaten straight up is quite tart! Lebovitz says because of its high acidity, passion fruit holds up extraordinarily well in the freezer, meaning frozen puree or pulp is an option for people who might not be able to get their hands on the fresh stuff. (It's also available year-round.) Look for either 100 percent fruit or a product that at least lists passion fruit as the first ingredient, ideally with relatively little added sugar. You can also buy packets of puree marketed for cocktails. I purchased one online that specified it was only 10 percent sugar. You can make your own puree with fresh fruit by whirring the seeds and gel in a blender and then passing it through a strainer. Passion fruit juice and passion fruit juice concentrate are also available in stores, although some might contain other fruits and sweeteners. • The flavor. I find the flavor of passion fruit more complex than other tropical fruits. “I think it's a really strong, clean flavor,” Lebovitz says. “It sort of blooms when you eat it.” He describes the flavor as “very tangerinelike,” with notes of mango and papaya and floral and vanilla undertones. “It's refreshing,” Lebovitz says. • How to use it. 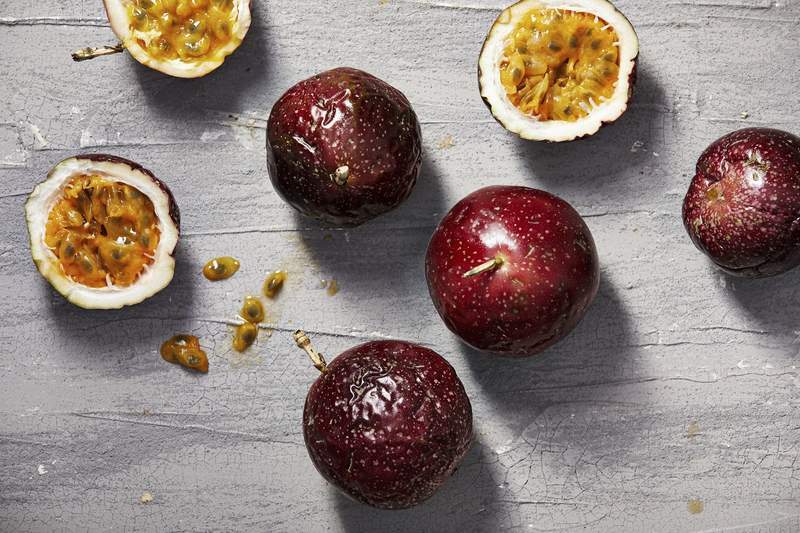 Passion fruit is so potent that it can be overwhelming if you use too much of it. To get started, Lebovitz suggests just mixing some puree into sparkling water. A sorbet or granita is another straightforward way to go. Next, think about what foods to pair it with. You can definitely go the like-with-like route, combining passion fruit with fruits that have a similar flavor profile. Lebovitz has made a tangerine-passion fruit sorbet. An ice cream combining passion fruit and coconut would be great as well. You could go the other direction, though, and mix passion fruit with something that balances it and lets it shine at the same time. Some of my favorite passion fruit desserts have been with chocolate, and not just because I love anything with chocolate. Lebovitz says it's best to avoid dark chocolate, though, because he finds that the tannins (bitter compounds) can fight with the sharpness of the fruit. Milk chocolate is a good choice, as its mellow sweetness is an ideal foil. White chocolate, used in the White Chocolate Panna Cotta With Passion Fruit Sauce in the accompanying photo, is just as delectable, if not more so, with a smooth, sweet flavor and vanilla backbone. Incorporating passion fruit puree into milk or white chocolate truffles is an easy initial experiment. Also think about using passion fruit as you would citrus – in a curd or simple syrup for cocktails and other beverages. Incorporate it into a frosting or glaze, or cook the puree down with a bit of sugar for something to drizzle over yogurt and ice cream.